Are Dansko shoes slip resistant? Dansko slip resistant styles are sole tested using the MarkII Standard. Slip resistant styles for both men and women can be found in the drop down under "Slip Resistant Shoes". Can I use my custom orthotics? Some Dansko collections feature a removable footbed which can accommodate custom orthotics. Due to the custom nature of orthotics, we recommend trying the shoes on with the orthotics to ensure a good fit. I have a problem with the Dansko shoes that I purchased from an Authorized Dansko Retailer. Who do I contact? We guarantee our products to be free from manufacturers defects within a reasonable amount of time and wear. If you believe there is a defect with the materials or workmanship, please contact the dealer where you purchased your footwear for assistance. Please note: Dansko cannot assist with requests on purchases made through unauthorized dealers or third-party auction sites. Is there a lifetime warranty for footwear? The lifetime warranty rumor has been around for several years. While we do not have a lifetime warranty, we do guarantee our footwear from manufacturers' defects within a reasonable amount of time and wear. Normal or abnormal wear and tear is not considered a manufacturers defect. If you believe there is a defect with the materials or workmanship, please contact the retailer about returning or replacing your shoes. Can my clogs be resoled? We do not recommend resoling Dansko clogs. Instead, for continued superior performance, we recommend that you replace your Dansko clogs. What is the APMA Seal of Acceptance? We are proud to carry the American Podiatric Medical Associations (APMA) Seal of Acceptance. The APMA awards the Seal after rigorously evaluating a product to determine if it promotes quality foot health. For a list of collections that have been awarded the Seal visit Women's APMA Accepted Shoes or Men's APMA Accepted Shoes. Where are Dansko clogs made? Dansko clogs are made in Europe and Asia. Look on the inside of the shoe to see the country where it was manufactured. To ensure that Dansko provides a superior product, we select and work closely with only the very best manufacturers. We select our sourcing partners based on their proximity and access to raw materials, as well as for their expertise in handling these materials. Does Dansko make steel toe footwear? At this time Dansko does not make steel toe footwear. Should I be concerned if my shoe discolors my sock or foot? We take great care in selecting our leathers and tanning methods to ensure supple strength and brilliant color. Occasionally, leather uppers or linings may react with your body chemistry, transferring color onto your feet or hosiery. This is not a defect. You may also find naturally occurring marks or blemishes in the leather, revealing its inner character or originality. Who should I contact if my shoes don't fit right? If you are concerned about the fit of your shoes, please follow up with the Retailer or E-tailer where you purchased your shoes. All of our Retailers and E-tailers are experts on fitting Dansko products and they will be able to guide you. I have a problem with the Dansko shoes that I purchased from dansko.com. Who do I contact? We guarantee our products to be free from manufacturers defects within a reasonable amount of time and wear. If you believe there is a defect with the materials or workmanship, please contact our Customer Service for assistance. Please note: Dansko cannot assist with requests on purchases made through unauthorized dealers or third-party auction sites. I have a problem with the Dansko product that I purchased on a third-party auction site. Who do I contact? We recommend that you contact the seller. Please note: Dansko cannot assist with requests on purchases made through unauthorized dealers or third-party auction sites. Authorized Dansko dealers can be found on the Find A Retailer page. Do you make footwear for people with narrow and wide feet? Yes. We offer additional width options in our Professional, XP and XP 2.0 Clogs and the Honor sneaker. We also offer adjustability options in select collections, such as laces, buckles, backstraps, and elastic goring that can accommodate many special fit concerns. How do I figure out my Dansko shoe size? Dansko shoes are sized according to European (EU) whole size standards. See our size chart for conversion. For fitting of clogs, please refer to the Fit Guide tab located on any of our clog product pages. You can also chat with Dansko Customer Service for more information. How should I care for my Dansko shoes? Dansko styles are made from several different types of leathers and fabrics. To find out more about what product we recommend using, visit our shoe care page. Will Dansko sell a single shoe? Dansko donates shoes to a non-profit organization called the National Odd Shoe Exchange. Since 1943, The National Odd Shoe Exchange (NOSE) has provided single shoes to amputees and split pairs to people with significant size differences due to illness or disease. You may contact NOSE by phone via 1-480-892-3484. How can I order a particular style that my Dansko Retailer doesn't carry? Many of our Retailers participate in our special order program. If you have a specific request, please notify a Retailer and ask to place a special order. You may also be able to purchase this style direct from Dansko, as we sell select styles direct to consumers on dansko.com. Why should I purchase my Dansko products through an authorized Dansko dealer? Dansko works closely with its dealers to ensure customer satisfaction. An authorized Dansko dealer will be able to provide assistance should you encounter a problem with your purchase. Authorized Dansko dealers can be found on the Find A Retailer page. Can I buy footwear directly from Dansko? How do I know I can trust an online retailer? Dansko has received reports that other retailers claiming to sell Dansko shoes (often at "too good to be true prices") do nothing more than take your money and never send the shoes you thought you purchased. When shopping for Dansko shoes online, we recommend that you only purchase shoes from a Dansko Authorized Retailer - a handy list of these Authorized Retailers is on the Find A Retailer page. Interested in becoming a Dansko employee? Visit our Careers page (Add link) to see any open positions at either our headquarters or distribution center in West Grove, PA.
We will ship orders to the United States only. At this time, we are unable to ship internationally. What payment methods does dansko.com accept? Visa, MasterCard, American Express, Discover, and Dansko.com e-gift cards are accepted methods of payment. We cannot accept bank issued gift cards at this time. Is your website secure? Is it safe to order from your website? The security of your information is a top priority at Dansko. We take security very seriously using industry-standard security measures to protect the loss, misuse, and alteration of your personal information. Can I purchase gift cards? 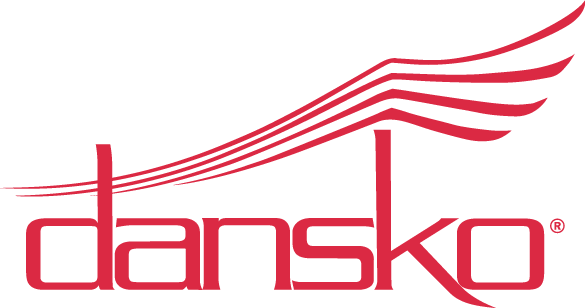 Yes, we offer electronic gift cards that can be purchased at Dansko.com in any whole dollar amount between $5-$500 USD. E-gift cards are delivered free of charge via email. Where can e-gift cards be used? Your e-gift card can only be redeem on Dansko.com They are not valid at any Dansko authorized retailer or danskooutlet.com. I bought a shoe from Dansko that I want to return. How do I return or exchange it? To return product purchased from this website use the online form to receive a Return Authorization number. Returns require pre-approval by Dansko. Returns without pre-authorization will be refused. Do I have to pay for shipping on my return or exchange? If you are exchanging an item the return shipping is free. If you are returning an item, you will be charged $6 for return shipping, which will be deducted from the refund you will receive. Can I add on to my exchange order? Unfortunately, exchange orders can only include shoes from the original order. If you wish to purchase additional items, please place a new order. I live close to Dansko's Headquarters; may I just drop my return off? Unfortunately, we do not accept returns or exchanges for products purchased on this site at the Dansko's Headquarters. Products need to be shipped to our Return Department to ensure a timely response to your request. Use the online form to start your return process. Can I change or cancel my order once it has been submitted to Dansko? We strive to fulfill orders as quickly as possible and you may not be able to cancel or change your order once it is submitted because we have already begun shipping your order. Please be sure to review your order carefully before submitting it. You may check the status of your order after 2-3 business days. To check the status of your order click on “Check Order Status” at the bottom of this page. Will my credit card be charged for a backorder item? Credit card charges do not apply until the backorder item ships. If my order has an in-stock item and a backorder item, will all items ship at the same time? No. In-stock items ship separately from backorder items. Credit card charges apply only to the shipped in-stock item. If my order has an in-stock item and a backorder item, will I be charged twice for shipping? No. The backorder item ships without additional shipping costs. Can I amend and/or cancel my backorder item? To amend and/or cancel your backorder item, please contact our customer service team. I forgot my password for "My Account". How do I reset it? If you forgot your password you can reset it by visiting "My Account" and following the instructions.